If you held up an average white egg and asked someone what it was, they’d probably simply reply, “It’s just an egg!” Understandably, that egg is “just an egg” to someone that’s never been exposed to what eggs truly are. People always ask me why I chose the name God’s Flock for the company. First of all, God created the chicken (Genesis 1:20-22), so of course the flock ultimately belongs to Him. ​Secondly, just as God created more than just one ethnicity of people, He also created more than just one color/shade of egg. 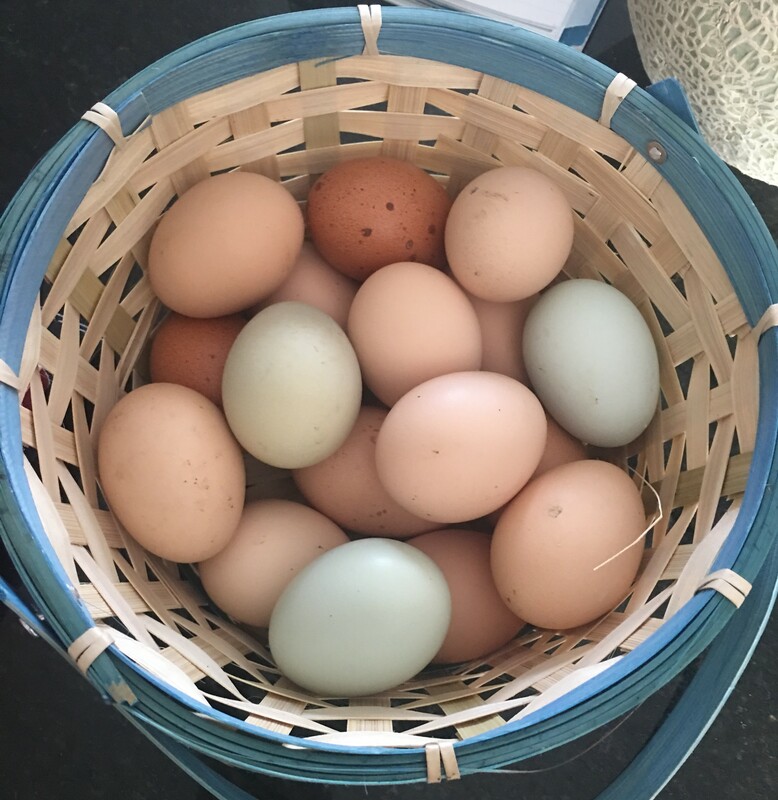 God’s Flock was established through the grace of God, so people could be educated as to what eggs are and would be able to obtain them, because once you get the low down on these gorgeous organic beauties, you will definitely want them in your possession! Not only are the various colors of the eggs stunning and incredible, but the contents of the inner shell is a treasure as well. Every loved and spoiled chicken on the farm is fed organic and local non-GMO grains, organic fruits and vegetable, live caged free and are allowed to freely roam and free range the grounds which boosts the omega 3’s and nutrients not found in your average store bought egg.